The iconic Ironbridge Gorge, birthplace of the Industrial Revolution and World Heritage Site. 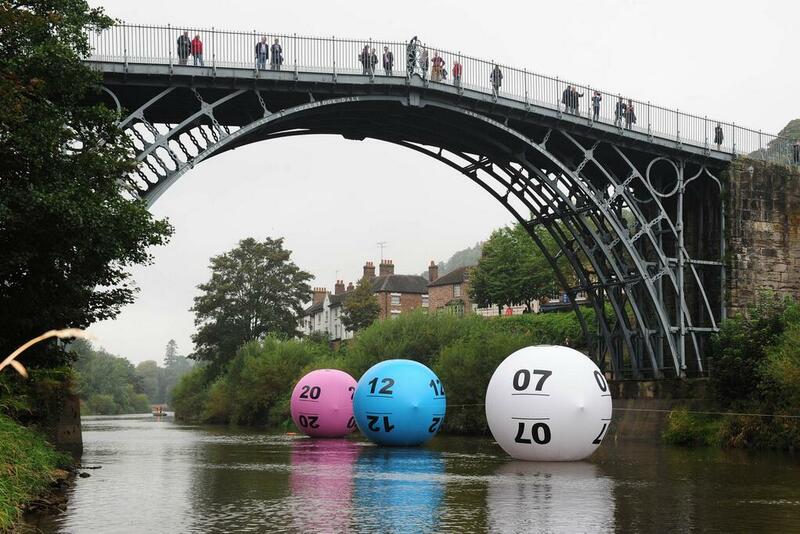 Lottery funded and scene of a rather unusual event in October 2013 when we floated giant Lotto balls which were the size of double-decker buses down the River Severn to announce the new Lotto game. Organising the logistics was to say the least a bit challenging but the result was spectacular and we had crowds coming from far and wide. The media coverage was international and we slept soundly that night.